Yes, Hannah Horvath is getting her fitness sh*t together. 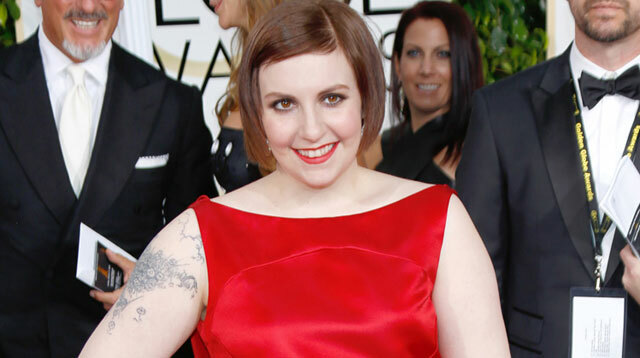 Lena Dunham says exercising helped reduce her anxiety levels and encouraged those suffering with similar conditions to hit the gym. The Girls star took to Instagram to share a snap of herself in her workout gear and encouraged those struggling with similar conditions to hit the gym, too. Captioning the photograph, she wrote: "Promised myself I would not let exercise be the first thing to go by the wayside when I got busy with Girls Season 5 and here is why: it has helped with my anxiety in ways I never dreamed possible. "To those struggling with anxiety, OCD, depression: I know it's mad annoying when people tell you to exercise, and it took me about 16 medicated years to listen. I'm glad I did. (sic)"
Meanwhile, the 28-year-old actress recently revealed her "hot" parents—father Caroll Dunham and mother Laurie Simmons—inspired her to ditch the pounds and improve her fitness levels. "My dad can lift these really heavy weights and do kettle bells. They can both jump rope and they look really hot, and I was just starting to feel like I was really dragging behind. I was like, 'You're more than twice my age, and I look like a bag of trash next to you!'"